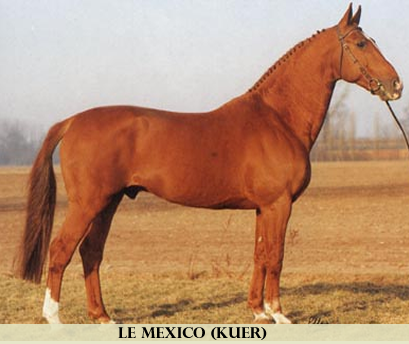 Versache is a great example of a modern sporthorse. Versache has the perfect balance of athleticism, pedigree, and temperament. 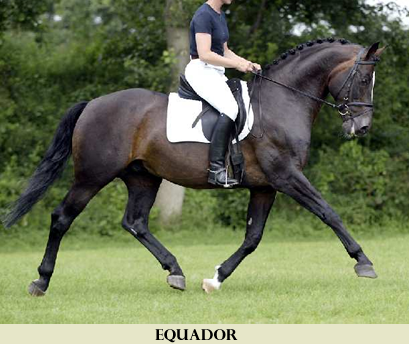 He offers to his foals excellent overall movement resulting in even and balanced horses with three fantastic gaits. His offspring have terrific natural toplines and well placed necks and strong hind end movement. 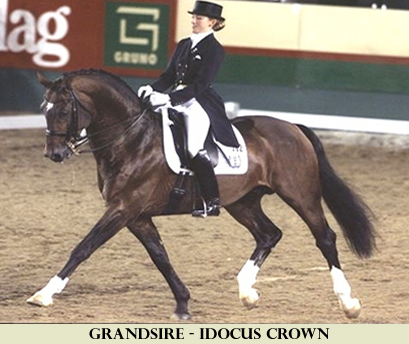 Versache is a 17.2 hand, Dutch stallion, by the famous dressage stallion, Olympic Ferro and out of an Elite Dutch mare by Idocus Crown, another fantastic dressage producer. 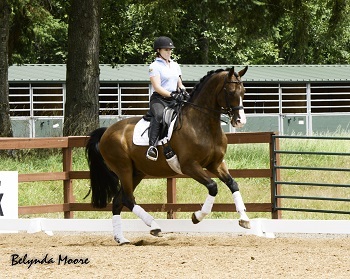 Versache has shown tremendous versatility, excelling in both the dressage and jumping arena. 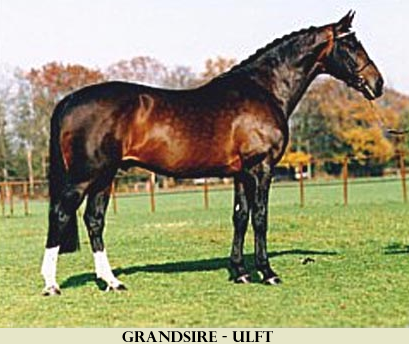 At the 2007 ISR/ Oldenburg stallion test, he was Reserve Champion of the 30-day stallion test scoring a 123.23, with a dressage index of 127.73 and a jumping index of 127.53.Additionally, he went on to receive the US Reserve Champion in the Dutch Warmblood Jumping IBOP with a final score of 76. Versache has gained four stars (*/*/-/*/*) with Oldenburg NA, first for his conformation at inspection, second for his stallion testing and third for producing 10 premium foals and fourth for producing two approved stallions. Versache has produced some amazing offspring in his first few years of breeding. 1) The majority of his foals have received premium foal status. 2) Two colts, Vader and Vuitton, were awarded stallion licenses. 3) The mare Vyshauna received 1st place in the West as premium at mare inspection. 5) Vyshauna was recognized as 1st place USDF HOY 3YO Materiale, a testament to ride ability. We look forward to adding future great acknowledgements to Versache breedings. 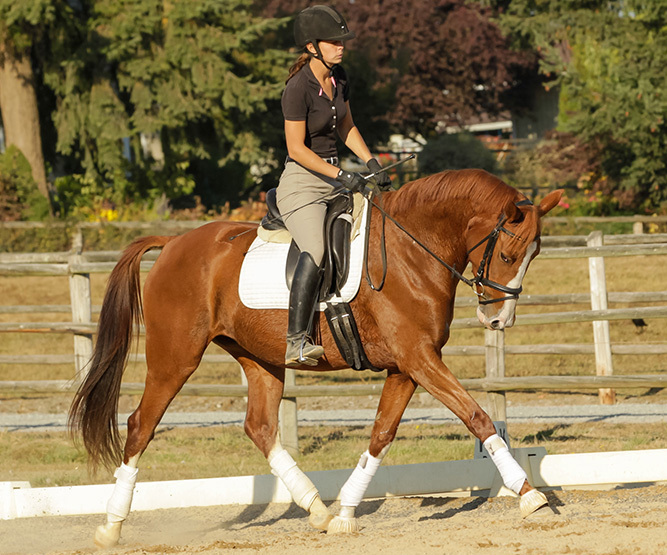 Versache is an excellent stallion candidate for your next sport horse. 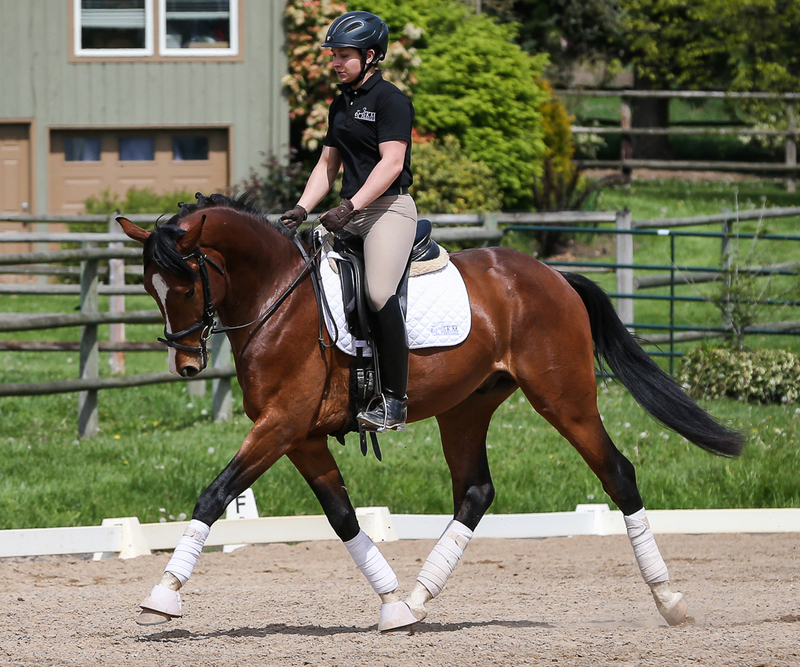 Being a proven jumper as well as exceptional dressage ability, he is a versatile athlete. He is proving to pass his skills to his offspring including his incredible temperament and ridability. 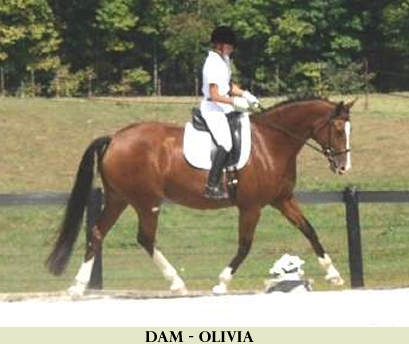 He offers to improve overall movement on his foals resulting in even and balanced horses with three fantastic gaits. 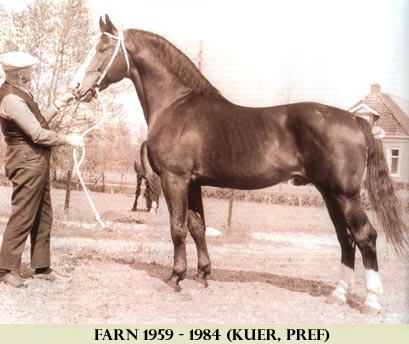 His offspring have terrific natural top lines with well-placed necks and strong hind end movement. He truly is proving to be an amazing sire! 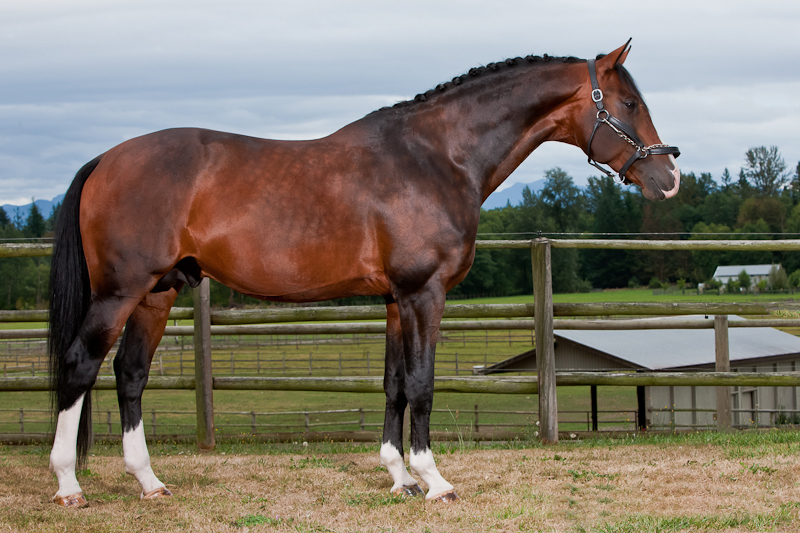 At the 2010 USDF Northwest Breeders Championship Versache was awarded USDF Great American Championship DSHB Reserve Grand Champion for Stallions. 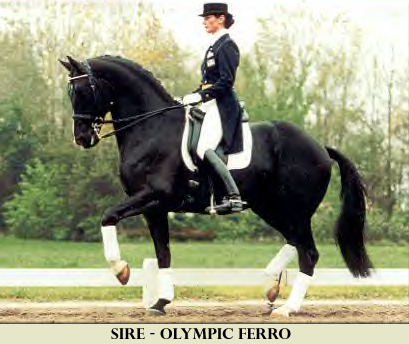 Versache also went on to earn the title of Dressage Sport Horse Breeding Stallion Champion for KWPN of North America. 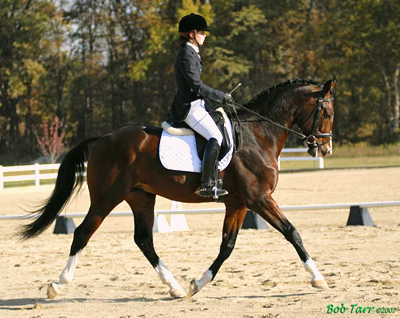 In 2012 Versache was awarded Top Producing Sire for Dressage Sporthorse Breeding by the North West Sporthorse Breeders Association.